Griot’s Garage Fast Correcting Cream was a product recommended to me by a few people, so I figured I’d give it a shot. I have been using mainly Meguiar’s Pro Speed Compound M100 (probably 90% of all of our compounding last couple years) and I’ve been very happy with it. As with anything though, I’m always open-minded to any new product that will either improve the process or the results. The GG fast correcting cream (GGFCC for short) was supposed to cut fast and be fairly dust free, both of which are great characteristics for an aggressive polish. After getting the GGFCC I tested it on quite a few cars and a few different pads. Before getting to any final thoughts and conclusions, here are some photos showing one test session on a fairly swirled BMW M5. I used the Flex 3401 polisher (what we use 99.9% of the time at my shop) and a Lake Country orange pad. I won’t go into pressure, etc, but let’s just say it was used properly and enough different ways to decide what I like and dislike about the GGFCC. I’ll get into this later, but this polish definitely has a very long work time and a little bit goes a long way. I had to make quite a few passes over the section I was polishing in order to break it down to the point I felt comfortable removing it. 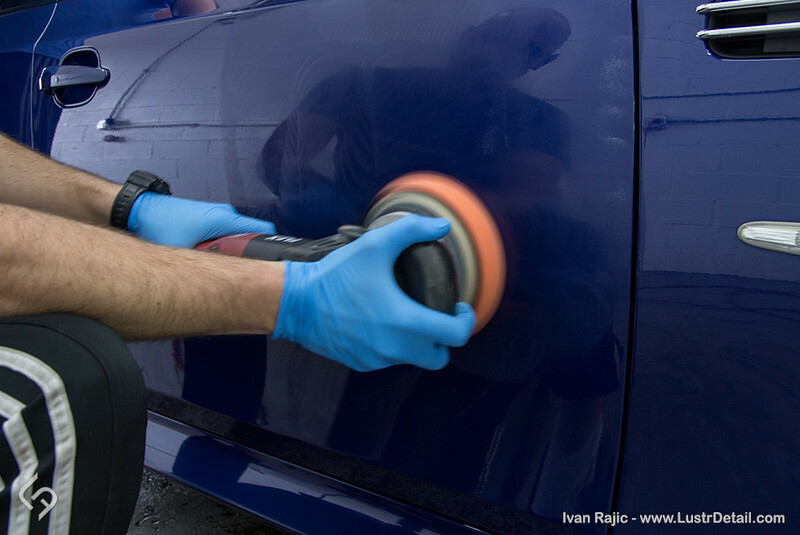 I found it best to stop when it’s still a bit hazy, otherwise, you may end up doing some “dry buffing” and leave some unnecessary marring in the paint. Overall, I was pretty happy with the results. Most swirl marks were removed, and only deeper stuff remained. With a wool pad it removed a lot more than what’s shown in these photos, so I was surely happy with the correction. 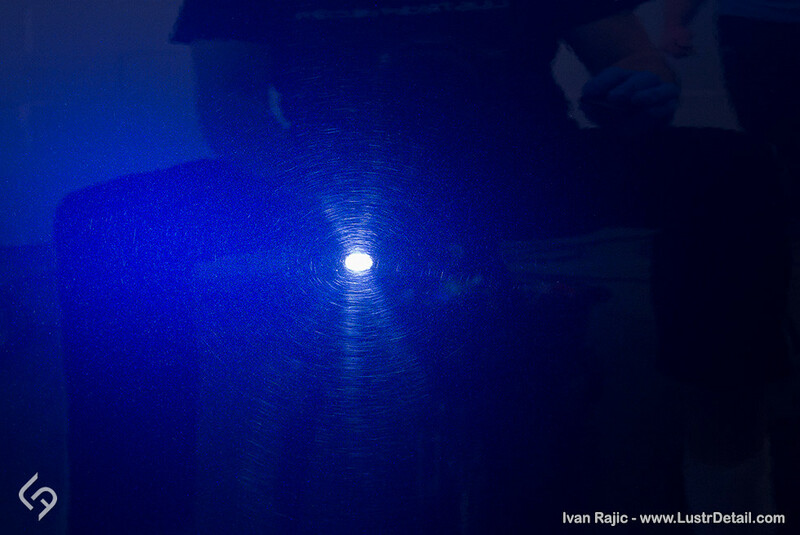 One of the main reasons we tested the GGFCC on this M5 is the very hard paint. Considering that variable, I was surely impressed with the correction ability of GGFCC. That said, I’m definitely not going to be replacing M100 and I probably won’t be using the GGFCC much going forward. To explain, here are some pros and cons. Keep in mind, this pros and cons list is mainly comparing the GGFCC to Meg’s M100 polish and is not a general guide compared to many other polishes. Little polish goes a long way. This makes it a lot more valuable considering the fairly high price compared to other polishes. It corrects well and is capable on many paints. 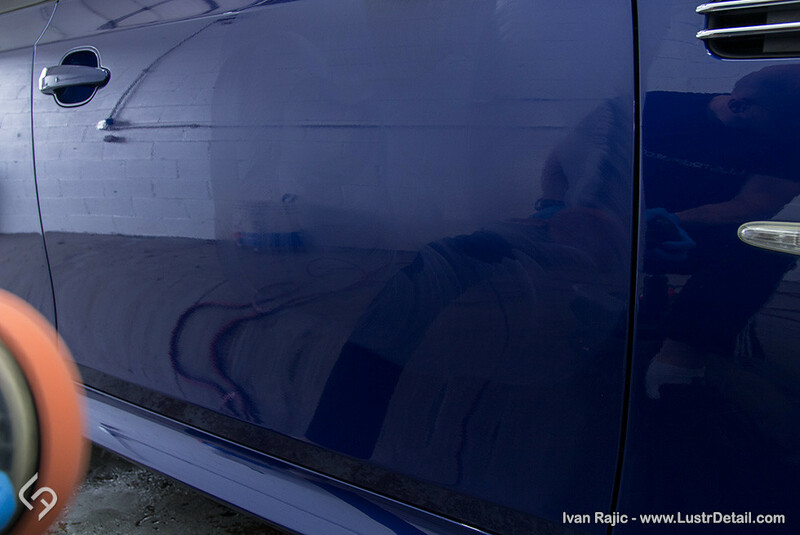 Especially good on medium or softer paint where finishing down as good as possible with the compounding stage is important. I really like the idea of silicone free and body shop safe polishes, so that’s definitely a pro for GGFCC. Fairly dust-free, which is always a plus when spending 6-8-10+ hours working with the product. 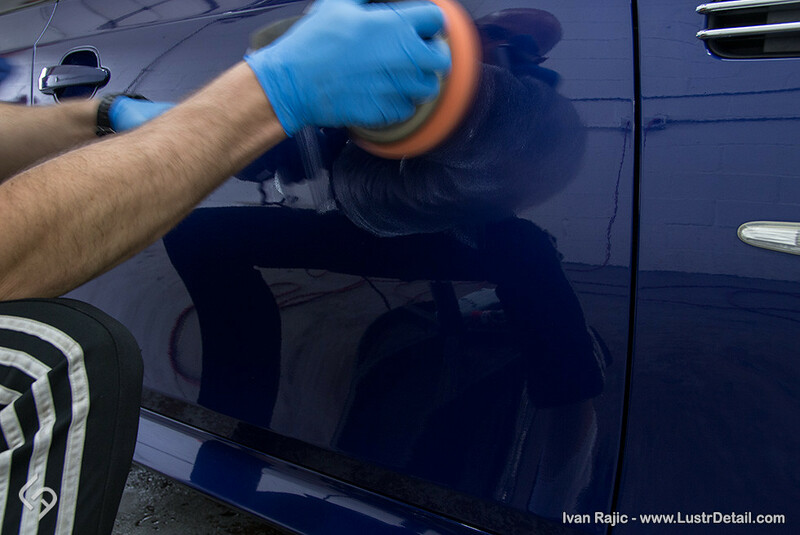 While a little product here goes a long way, it doesn’t mean you only need that “little” amount of polish. 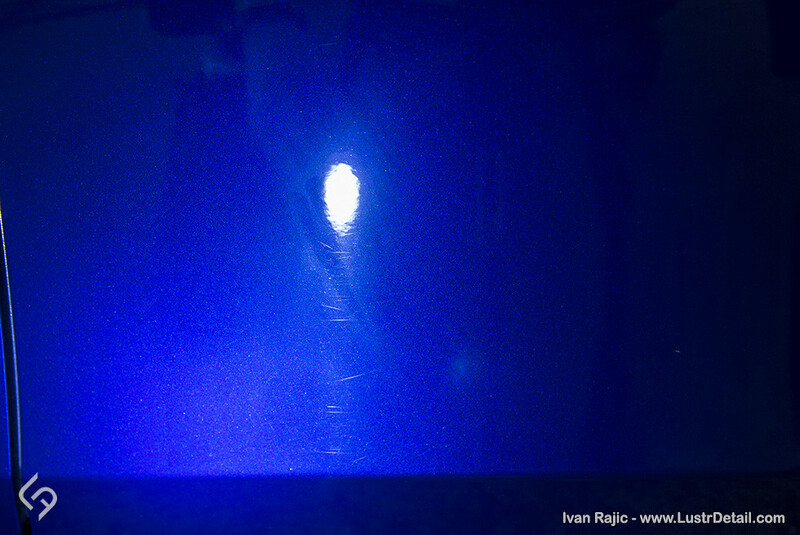 Let me explain… If polishing a section of paint, you may use a couple drops, go over the section, and then have to polish it again. This means you’re polishing that section twice to get it to where you want/need it. Now to adjust, you’re approaching the next section a bit differently. Nobody wants to do a section twice, so adding more product may do the trick. Many times, this may not and will not work because doing a section twice will practically always give you better results vs simply correcting it better/longer once. 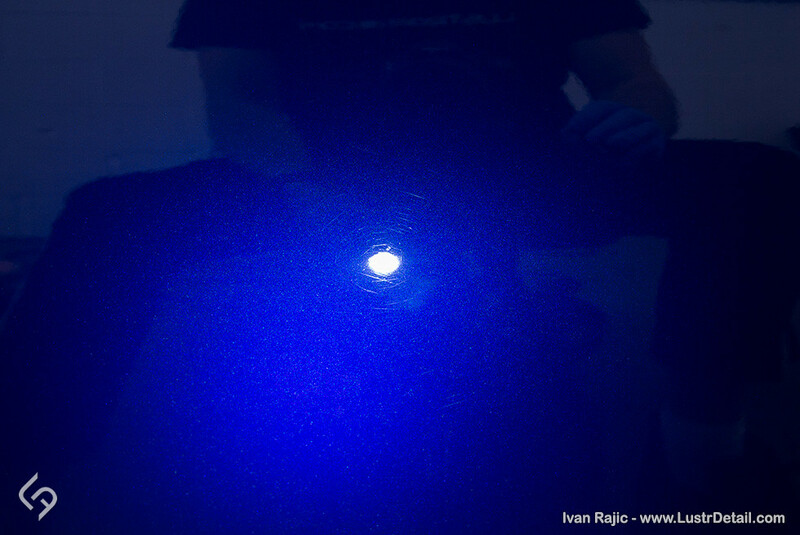 However, even if this does work, the polishing time is much longer due to the long working time of this polish. Long story short, unless it’s perfect for some paint and condition (which I found to be every now and then) you end up using more polish and polishing for much longer. With M100 on the other hand, the amount of polish you use is pretty much directly proportional to the amount of correction and polishing time, so much easier to work with and understand. I didn’t find it to be a polish that can “quickly remove severe paint defects with ease” as Griot’s suggest. When using little product to get the quick correction, it doesn’t correct too well and when using enough product with the right pad to actually correct severe defects, it’s definitely not quick. Again, I’m comparing it mainly with M100, so it may be quick compared to some other products that work in a similar fashion. This is not a bad product by any stretch of the imagination. It smells better than most, corrects very well, is fairly easy to use and is versatile in the sense that more or less can be used for specific applications, as necessary. I simply have options that I consider better to do the same job and I saw nothing with GGFCC to change my mind. I will say that it is a perfect option for some paints and I may reach for it every now and then. 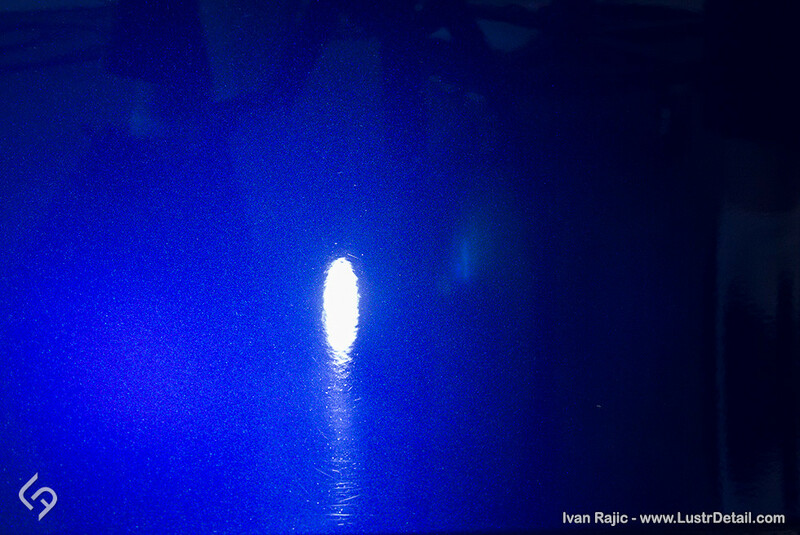 As mentioned above, from my experience it’s usually perfect for medium to soft paint with moderate defects. 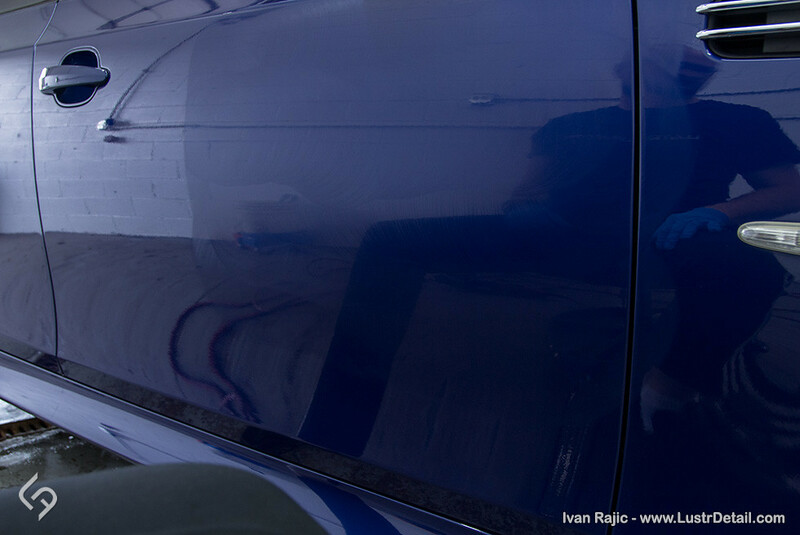 It corrects them well and leaves a pretty good finish, easily made perfect and glossy by a quick finish polishing. 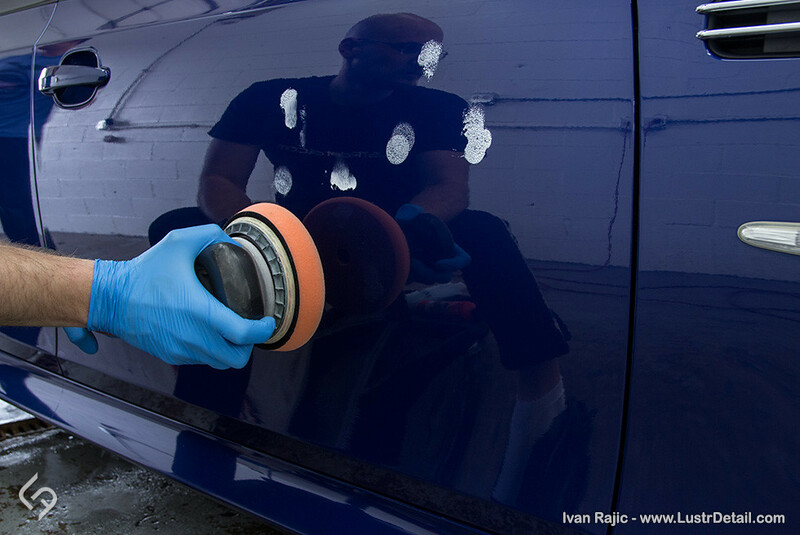 To me though this situation is rare and when I do come across it I reach for Meguiar’s M205 and a wool pad for great correction with great finish, then do a finish polishing. When needing to remove severe swirls on harder paint I feel very comfortable using M100 and correcting pretty much anything fairly quickly. At the end of the day, Griot’s Garage Fast Correcting Cream is a product that will work great for some (as evidenced by a few other authors here) and be “just another product” for others, like myself. I am by no means marking it as “not recommended”, but I won’t be using it much. My advice… If your aggressive polish/compound is lacking and you constantly look for more, give it a shot and see what results you get from it. If it works great, if not keep trying others. Hope this helps some and thanks everyone for reading. Excellent review and nice to see some honest commentary on some of the cons of this product. I’ve read a lot of great reviews of how awesome the GG FCC is, but there’s always room for improvement and I think this review shows that. I purchased this product and tried it for the first time recently. It was definitely a worthwhile purchase and I’ll continue to use it. No issues and very easy to use. Corrected some heavier swirl marks with no problem. However, I might try something else in the future just because I like to try various things and mix it up a bit. Thank you for a great review! You mentioned a couple of times using a wool pad, I was just curious which wool pad/pads you use and recommend? Thanks again, and keep up the great work! Thanks Scott. We use the Lake Country wool pads and rarely some of the more aggressive stuff from other sources. I’m really looking forward to trying the more aggressive wool pads coming out shortly both from Lake Country and Rupes.